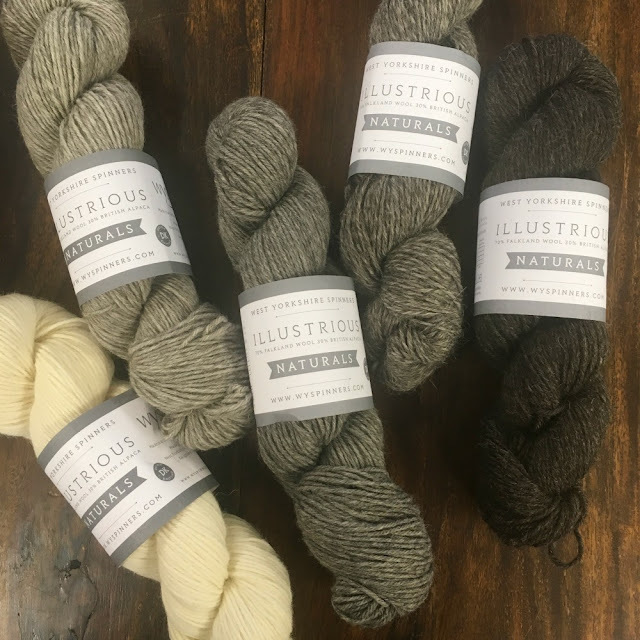 The Woolly Brew: Illustrious Naturals in the shop! Illustrious Naturals is from West Yorkshire Spinners. It's a DK thickness and a blend of 70% Falkland Wool and 30% British Alpaca. We've got 5 shades blended from the natural fibres. It's soft and woolly with a lovely bounce. Our shop sample will be Copenhagen Calling by Isabell Kraemer, a double loop cowl. It'll be in the shop soon!